Jewish people are quite orthodox. Hence Jewish Marriages involves lots of rituals practiced very strictly. But these rituals are colorful and joyful and interesting too. It has been noted that the ritual being practiced in a Jewish Marriage may vary based on the degree of their orthodox customs. Jewish people calls marriage as kiddushin. The word "kiddushin" has been derived from the word, "kadosh", meaning holiness. 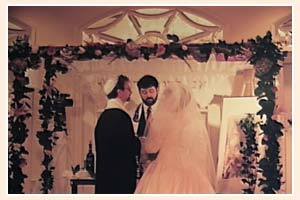 The most preferable day to conduct a Jewish marriage is Tuesday.